CAT Exam Dates 2018: CAT Exam Dates 2018 has been released now, the CAT Exam will be on 25th November 2018, the Online Application form will be available form 8th August 2018, Common Admission Test is a top level management entrance examination organized by the Indian Institutes of Management (IIMs) on a rotational basis every year. For admission in MBA, PGDM, and other management courses which is offered IIMs and other top business schools in India such as SPJIMR, FMS, MDI, NITIE etc scorecard are required. 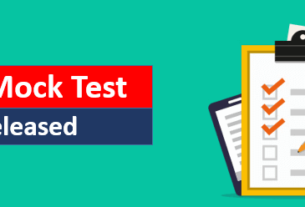 CAT Admit Card 2018 Released now, Click Here to get CAT Admit Card. CAT 2018-19 Exam Dates has been released. Candidates can check the complete schedule of CAT 2018-19 Examination. IIT Calcutta will organize the CAT 2018 examination, the official notification will be release on 29th July 2018, the CAT Application Form will be available on only Online Mode, the Online Application Form will be available form 8th August 2018 and the last date of filling the application form is 19th September 2018. CAT Admit Card will be available from 24th October 2018, the Admit Card will be available on online mode, there is no other mode to get the CAT Admit card, candidates can download the Admit Card form the Official website of CAT. The CAT Online Examination will be on 25th November 2018. after the few days of the Examination the authority will release the CAT Answer Key. The CAT Answer Key will be release in first week of December 2018 along with the question paper. Candidates can make a objection against the Answer till the second week of December 2018. The CAT Result will be release in the second week of January 2019. After the few days of result CAT Cutoff will be released.